Every believer is under attack, every church is under attack. We are NOT under attack from people within and we are not under attack from people without. The attack is from the evil one, Satan, and it has been going on for ages. Listen to this series to explore what the Word of God says is happening and to learn what our role is in overcoming! 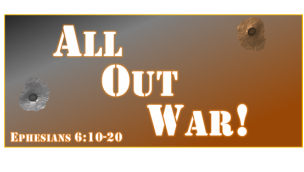 Download an audio MP3 file of the sermon here.